Private intelligence firm Stratfor was paid by Coca-Cola to gauge the threat of protesters at the Vancouver Olympics, according to documents released by WikiLeaks. Private intelligence firm Stratfor was paid by Coca-Cola to gauge the threat of protesters at the Vancouver Olympics, provided Dow Chemical information on environmental activists, and sells what clients and subscribers consider some of the best geopolitical analysis that money can buy. Now the Texas-based think-tank is the latest target of WikiLeaks chief Julian Assange, who says his anti-secrecy group has more than five million of Stratfor's emails and is promising to release damaging material in the coming weeks. The first, small batch published Monday contained little that was particularly scintillating — but revealed clients that Stratfor has long safeguarded and refused to disclose. They range from local universities to megacorporations like Coca-Cola, which apparently worried about animal-rights supporters crashing and disrupting the 2010 Olympics in Vancouver. "To what extent will U.S.-based PETA supporters travel to Canada to support activism?" a Coca-Cola manager asked a Stratfor analyst in a 2009 email. An initial examination of the emails turned up a mix of the innocuous and the embarrassing. 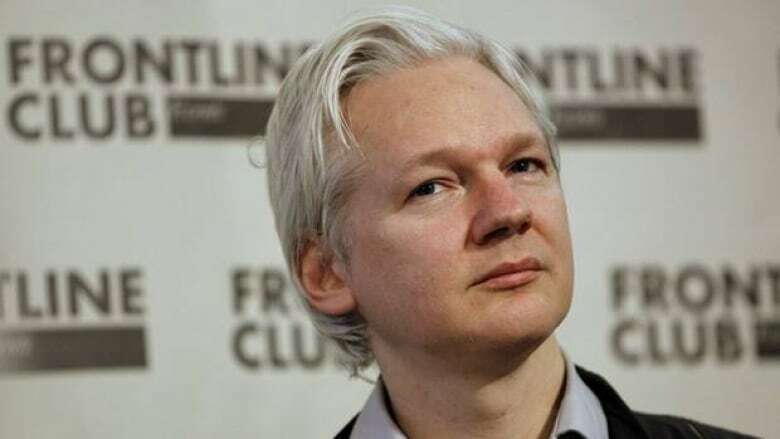 But Assange has accused Stratfor of serious deeds, such as funnelling money to informants through offshore tax havens, monitoring activist groups on behalf of big corporations and making investments based on its secret intelligence. "What we have discovered is a company that is a private intelligence Enron," Assange told London's Frontline Club, referring to the Texas energy giant whose spectacular bankruptcy turned it into a byword for corporate malfeasance. "Stratfor has worked to build good sources in many countries around the world, as any publisher of global geopolitical analysis would do," the company said in a statement. "We have done so in a straightforward manner and we are committed to meeting the highest standards of professional conduct." According to an internal Stratfor document released by WikiLeaks, the company boasted having 292,000 paid subscribers but also acknowledged that the actual number of people reading its products is far fewer. Stratfor uses analysts to scour the internet for open-source information, which they then use to determine where the world's next crisis might strike. "If this is a source you suspect may have value, you have to take control od (sic) him. Control means financial, sexual or psychological control to the point where he would reveal his sourcing and be tasked," the email read. "This is difficult to do when you are known to be affiliated with an intelligence organization." Stratfor vice-president of intelligence Fred Burton bragged in other emails about his "trusted former CIA cronies" and promises to "see what I can uncover" about a classified FBI investigation. Messages left for Burton weren't immediately returned. Stratfor has speculated that some of the leaked emails may have been altered or forged, although the firm did not provide any evidence of tampering. Anonymous said in a Twitter message that the suggestion of forgery was "pathetic." Bobby Inman, former director of the National Security Agency and former deputy director of the Central Intelligence Agency, called Stratfor's paid intelligence service competent and said the company has delivered "high-quality" analysis in the past. Inman said Monday that the leaked list of clients would almost "certainly be damaging" to Stratfor's business. "If you think who might find that information useful, it would be a competitor out there looking for clients," he said. Some clients are already facing questions. Among the emails are reports apparently compiled for The Dow Chemical Co. on activists who have targeted the company over its links to the Bhopal gas leak disaster, which killed thousands of Indians and spawned a long-running legal battle. Dow said in a written statement that "major companies are often required to take appropriate action to protect their people and safeguard their facilities," adding that it operated within the law. Coca-Cola also defended reaching out to Stratfor before the 2010 Olympics, releasing a statement Monday that read, ""We consider it prudent to monitor for protest activities at any major event we sponsor, as such activities may affect our partners, customers, consumers or employees." How WikiLeaks got the company's emails remains unclear. Assange refused to answer questions about the matter Monday, but Stratfor said the messages appeared to be the same ones stolen by hackers in December. That breach, claimed by the internet activist group Anonymous, ravaged the company's servers and led to the disclosure of thousands of credit card numbers and other information. Wired magazine quoted an unnamed member of Anonymous as saying that the stolen data had been transferred to WikiLeaks, which allegedly acknowledged receiving the transfer using a coded message on Twitter. Anonymous appeared to confirm that account, pointing to the cryptic message "rats for donavon," which WikiLeaks posted Dec. 30. Several media groups, including Rolling Stone magazine and German broadcaster NDR, said they have been offered advance access to the emails and will publish stories based on the documents if appropriate.